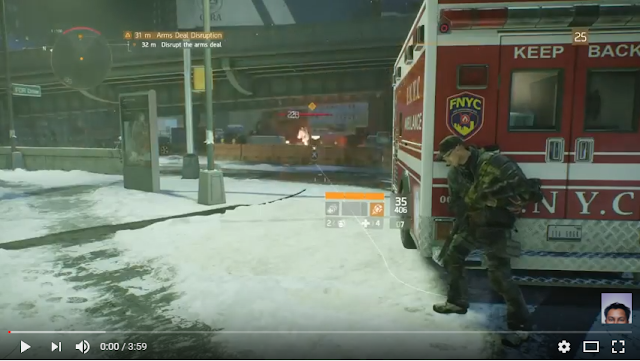 Tom Clancy's The Division, the new game I'm hooked. I've taken the liberty and recorded a mission. It's a Disrupt Arm's Deal side mission and it is getting harder the higher your level is. I'm almost at max level and this is my main agent in The Division. I've got two agents, one for my main and the other to play with "casual-player" friends. Having to play with other players, through matchmaking and/or with friends, makes playing more enjoyable. Playing solo can be tough, but finishing a mission by yourself is quite rewarding, sometimes in terms of loot. I might be recording more mission videos and you can check these on my Youtube Channel.